I remember how much a loaf of bread cost the year my husband and I married. I remember the price of a gallon of gas the year I started driving. I also remember the hourly rate a teenage girl could make babysitting in the late 1980s. Unfortunately, I have never written about any of these things in my novels or short stories. When I need to know how much something costs for the year during which my story takes place, I can usually find it by Googling. But every now and then, I use an inflation calculator to go backward or forward in time and come up with a price. Most often, the US Inflation Calculator, which works for prices between the years of 1913 and 2018 (updates to current year), is my go-to source for pricing. In the event I need to tiptoe farther into the past (1800), this Inflation Calculator is my second favorite. 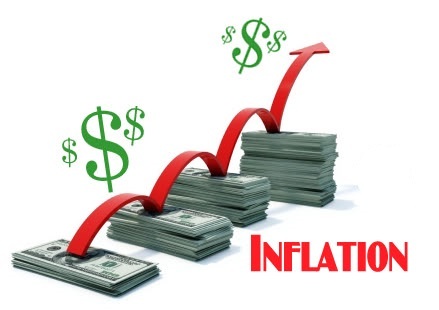 It’s not as official, but the site offers some other inflation-related links which may prove to be beneficial. I know inflation calculators are not new or impressive, but I find them fascinating and most helpful when writing. Besides, nothing is worse than having to stop the flow of writing to research a detail. I didn’t know about the inflation calculator. That is pretty cool. When I started driving gas was 22 cents per gallon. I’m so glad you enjoy the post, Mark. I always like to share what I discovered in Research Road, hoping that readers will find it helpful, but I never know how it’s going to be received.